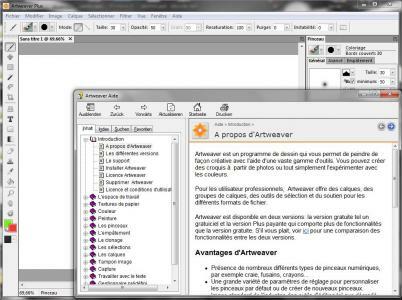 Maybe you have already noticed it but since the last update to version 4.0.2 Artweaver is now completely available in French. Not only the setup and the program interface is translated to French but also the whole help file. A big thanks goes to Yves NONEN who had done a great job in translating everything into French. 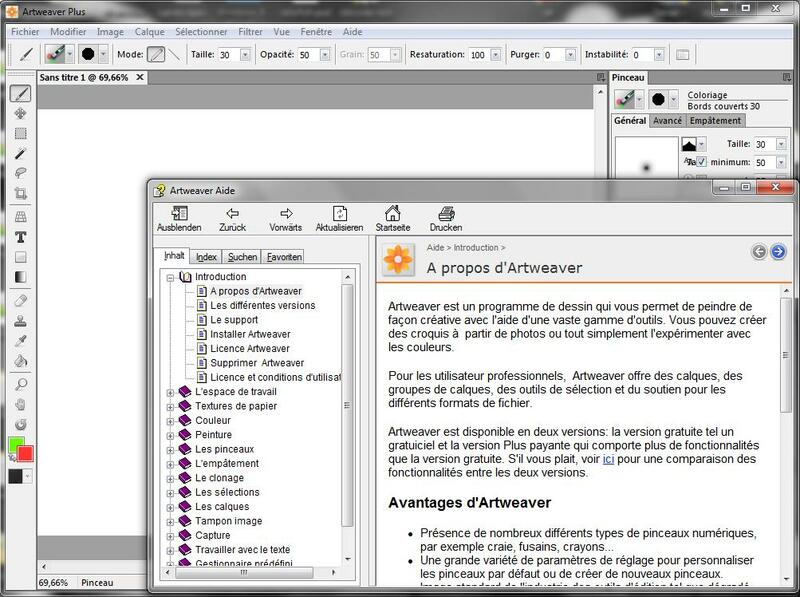 You can use Artweaver in French either by switching the language in the preferences to French or by choosing French when launching the Artweaver setup. As soon as you switch to French in Artweaver the online help opens in French language too. An update for Artweaver Free and Plus 4 to version 4.0.2 is now available. You will get this update automatically over the Artweaver self update feature the next days. We are happy to announce the availability of many additional Plug-Ins for the 64 bit version of Artweaver Plus. As you may know Artweaver Plus 4 comes in a 32 and 64 bit version and until now there were only additional Plug-Ins for the 32 bit version available. This has changed now and you can download and install many of the additional Plug-Ins in the 64 bit version of Artweaver Plus 4 too. You can download all available Artweaver Plug-Ins (both Free and Plus version) for free directly from the Artweaver Plug-Ins page. An update for Artweaver Free and Plus 4 to version 4.0.1 is now available. You will get this update automatically over the Artweaver self update feature the next days. An update for Artweaver Free and Plus 3.0 to version 3.1.6 is now available. You will get this update automatically over the Artweaver self update feature the next days.